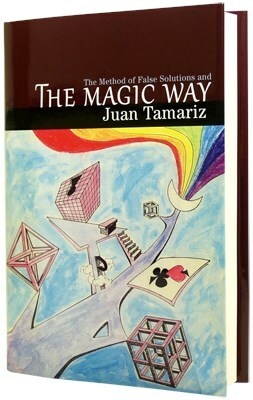 In this updated and expanded edition of The Magic Way, Juan Tamariz teaches you not just great tricks, but a way to make every trick you do better and more magical. For many years, the Magic Way is a long-sorted out of print classic magic book that serious magicians looking for a copy, simply want to read it and become better magicians as praised by many others. Of course, some people might chased for high value investment and resale value, make it look good on their bookshelf. However, is that the value of this master piece? Maestro Juan Tamariz show us his methods on how to make magic become miracles in mind of spectators / magician as well. How do I know it? I met the maestro twice during magic conventions and his performance surrounded by hundred veteran magicians, For over an hour he performed exactly described in his book and left all of us in the magic way. The Magic Way is a classic, a master piece of magic literature like Books of Wonder that you cannot afford to miss. Buy it now, read it, study it, breath with it, and read it again.